In this era of mobile boom, the landscape of mobile apps development is continually changing with the introduction of new smartphone devices and new versions of OS. Cool new mobile apps have gone viral and are sold over millions, altering the approach of interaction among people and their way of communication with the surroundings. Explosions of mobile apps have occurred in the retail, media, education, entertainment, travel, finance, healthcare and other industries. Although there are many challenges and complexities for mobile apps testing, no developer can ignore its importance for delivering error-free and well-functioning applications. Native apps vs. mobile web: Testing challenge is completely different for these two types of mobile apps, since it is quite a baffling task to select the easiest way of testing for either of the apps. Testing coverage: It is crucial to have the in-depth knowledge about OS, carrier, device maker and testing matrix in order to achieve thorough coverage for mobile testing. Speed of connection: The success of an application depends on how fast it loads on different platforms, like 3G, 4G or Wi-Fi connection. Security: This is another major area of concern, as no user would like to have their personal data exploited by virus, malware or other threats. OS and device fragmentation: An application can never thrive in the market if it loads on some devices and not on others. The key to success for a mobile application is its widespread adoption and seamless user’s experience. Data usage: The mobile apps, which drain battery faster than others, are not liked by the users for obvious economical reasons. In order to overcome these hardships, high-end mobile application testings are suggested. 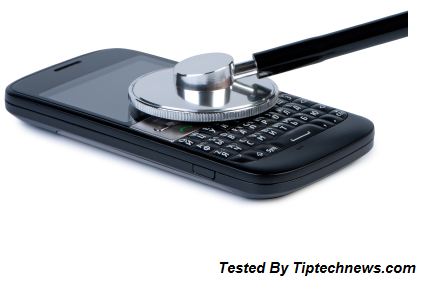 Mobile testing can be done inside the lab or can be outsourced. The other method of testing involves the tests in real-world scenario out of the lab, also called ‘in-the-wild’ testing. Moreover testing for different operating systems should be conducted in specialized ways. In house testing: This is conducted within the lab, at the same place of product development, where the in-house team can communicate easily. The testers here are closely bound through SDLC. Outsourced testing: mobile application testing service is outsourced to highly skilled professional testers, who have access to wide range of testing tools. The testing environment in this type might match user demographics. Beta testing: This ‘out of lab’ testing service includes no direct cost but involves variety of mobile devices, OS, carriers and are conducted in different locations. This test is not conducted by professional testers but the users provide subjective feedback on a mobile application. Crowd sourced testing: This involves live testing outside test labs with real devices, OS, carriers. The testing is conducted by professional testers, who simulate the end users with varied range of mobile devices and connections. Challenges for mobile application testing vary significantly, depending on the platforms, OS, devices or carriers. For example, Android has difficulty in automation for its complex core functionality and HTML 5 interface. On the other hand, iOS has some in-built tools, like crash reports, console log and built-in screen shot commands, which facilitate application testing in Apple devices. Whatever the constraint is, a skilled professional can detect the most suitable way for testing mobile applications. Mobile application testing is a daunting task for the testers because of the wide range of mobile devices, OS and carriers available in the market. Experienced and skilled professionals can find out a suitable testing method for mobile application.